En español | “Getting omega-3 fatty acids matters for maintaining healthy eyes,” says Sunir J. Garg, retinal surgeon at Wills Eye Hospital in Philadelphia. A 2016 meta-analysis of studies on fish consumption and age-related macular degeneration found that people who ate the most fish had the lowest risk of the sight-stealing disease. 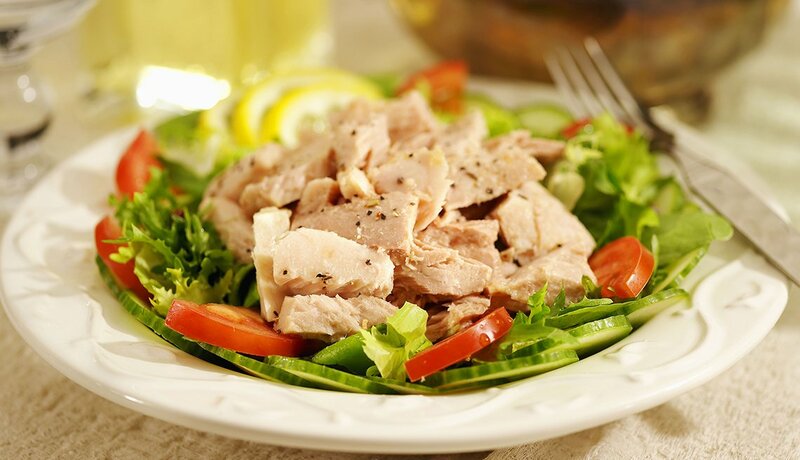 Aim for two to three servings a week of dark meat fish such as tuna and salmon. These violet-hued gems are rich in anthocyanins, potent antioxidants that easily cross the blood-retina barrier to provide extra vision protection. They also may improve vision in people with normal tension glaucoma, a form of the disease that damages the optic nerve. 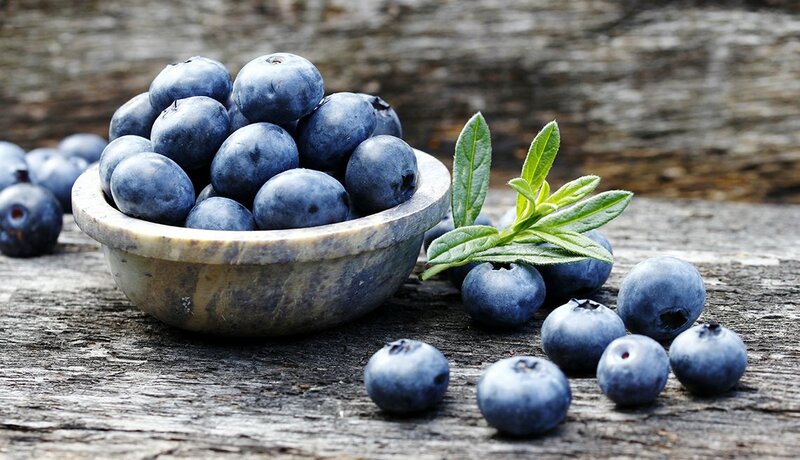 If you spend a lot of time in the sun, blueberry anthocyanins may be particularly helpful, since research shows that they can protect your retina against damage from UV light exposure. You'll also get anthocyanins from other dark red, blue and purple foods like blackberries, currants and red grapes. 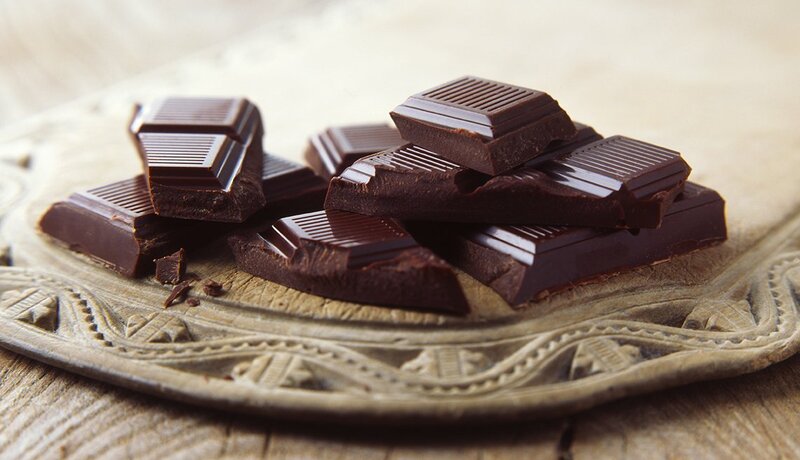 If you need another reason to indulge in a chunk of dark chocolate today, here's one. An intriguing 2018 study published in JAMA Ophthalmology reported that adults who ate a bar of dark chocolate could literally see better — enjoying improvements in visual clarity and contrast sensitivity — about two hours afterward, perhaps because of a boost in blood flow. Even if your Dove bar doesn’t sharpen your vision, the flavonoids found in dark chocolate may help improve vision in people with glaucoma as well as reduce your risk for macular degeneration. But consume in moderation, or you'll have other health issues to worry about! 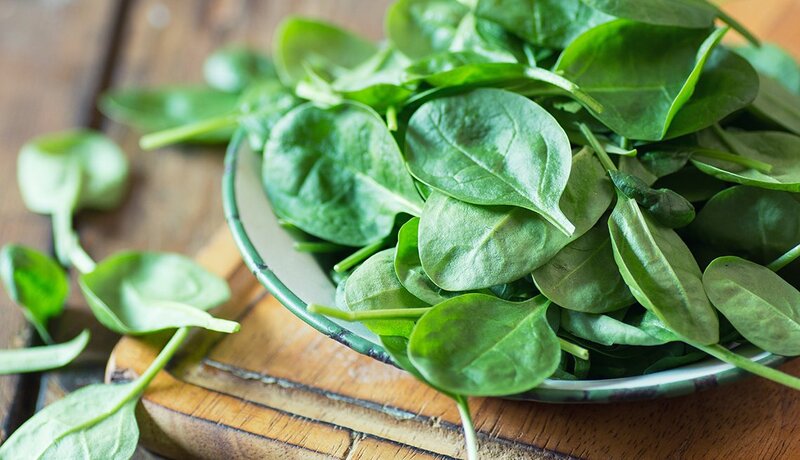 Spinach and other dark leafy greens like kale and collard greens are packed with two antioxidants — lutein and zeaxanthin — that are stored in the eye’s macula, which helps shield the eye from damaging light. Lutein is especially good at filtering out blue light, which is the kind that glares from your phone and computer screens. These antioxidants also appear to help maintain rich blood flow to your eyes. “Aim for at least three servings a week,” Garg says. Lutein and zeaxanthin are fat soluble, so drizzle on the olive oil for maximum absorption — and deliciousness. Egg yolks are brimming with the same powerful eye-protecting antioxidants, lutein and zeaxanthin, that are found in leafy green vegetables. The beauty of getting them in your omelets is that the high fat content in eggs means that you very easily absorb all that antioxidant goodness. 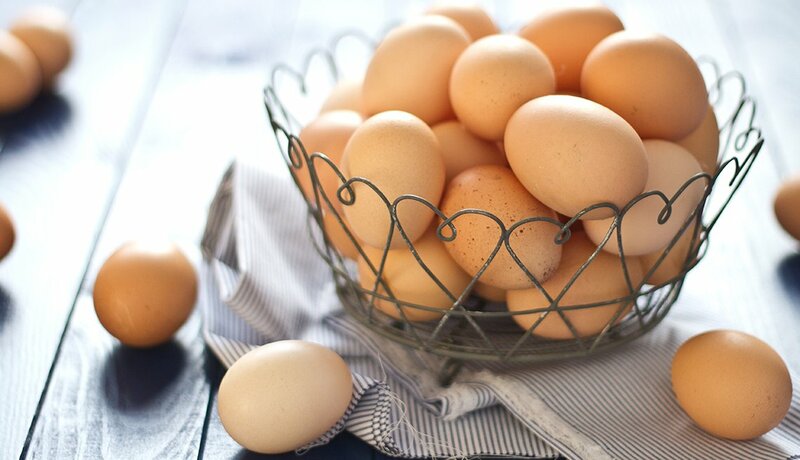 In fact, one study found that eating just one egg a day for five weeks increased lutein levels by 26 percent and zeaxanthin levels by 38 percent (the study also found this egg-a-day routine had zero ill effects on cholesterol or triglyceride levels). Egg yolks are also a rich source of vitamin D, which may also help protect against macular degeneration. Oysters Shellfish like oysters are among the best sources of the mineral zinc, which healthy eyes have in abundance. Zinc helps vitamin A create melanin, a pigment that protects your eyes. Zinc deficiency can cause poor night vision, or night blindness, as well as cataracts. In high doses, zinc also appears to be able to slow the progression of macular degeneration once you have early stages of the disease. But you don’t need more than the daily recommended dose — 8 milligrams a day for women and 11 milligrams a day for men. 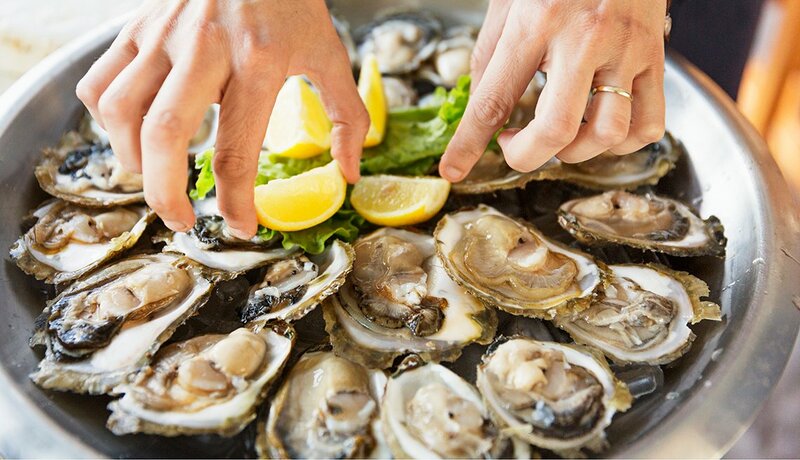 Oysters deliver more of the mineral than any food, but you also can get plenty of zinc from beef, other shellfish and fortified cereals. Folks who drink hot tea every day are 74 percent less likely to develop glaucoma than those who don't, according to a study of more than 1,600 adults published online in the British Journal of Ophthalmology. The researchers found no such associations between glaucoma and other commonly consumed beverages, including caffeinated and decaffeinated coffee, iced tea and soft drinks. 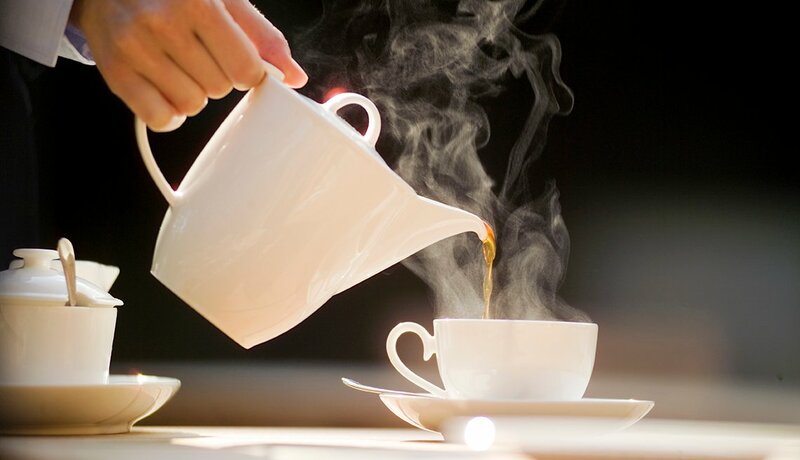 Though the study isn’t conclusive, brewed tea is a good source of disease-fighting antioxidants. Vitamin C should really be called Vitamin See. Like other antioxidants, it helps prevent free-radical damage and may reduce your risk of cataracts and macular degeneration. It also helps build collagen, which provides structure for your cornea. You can get ample doses of C from strawberries, red bell peppers and all citrus fruits. 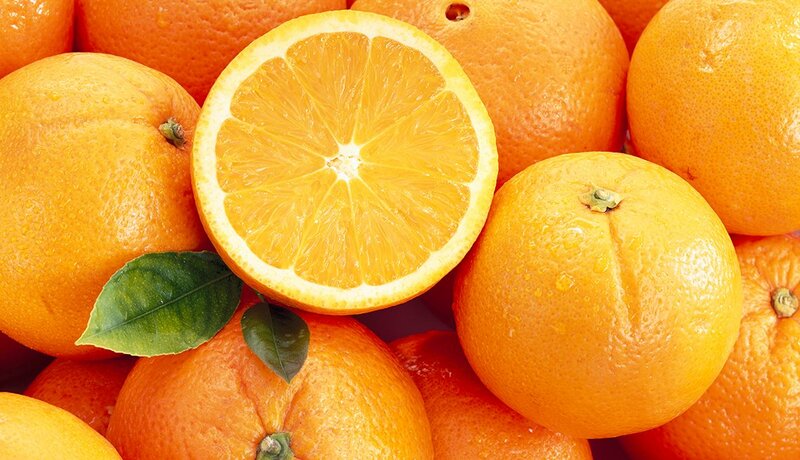 Oranges, however, might be the real apples of your eyes: In one study of adults 49 and older, those who said they ate at least one serving of oranges a day had a 61 percent lower risk of age-related macular degeneration 15 years later than those who said they didn’t eat oranges. A Spanish study of nearly 600 men and women age 65 and older found that people who ate a healthy diet providing at least 8 milligrams of vitamin E a day had significantly lower rates of cataracts and cataract surgery than those who ate lesser amounts. 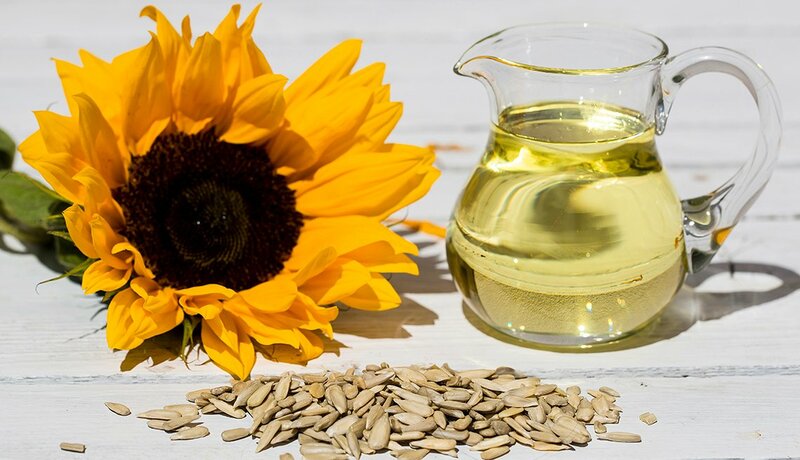 The recommended daily value for this powerful antioxidant vitamin is 15 milligrams, the amount in 2 ounces of sunflower seeds. Other good sources are almonds, hazelnuts and peanut butter. No list of sight-saving foods would be complete without carrots — after all, as the joke goes, you never see a rabbit wearing glasses. 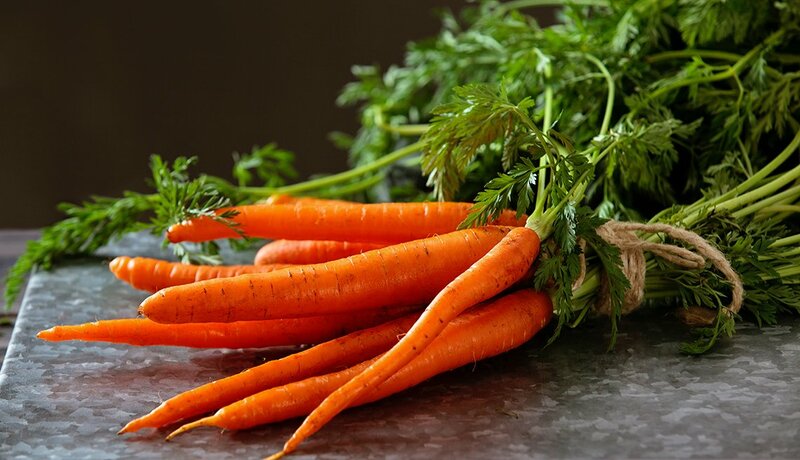 Bad Bugs Bunny yuks aside, carrots are a rich source of beta-carotene, an antioxidant carotenoid that your body converts to vitamin A, which is essential for good vision. Vitamin A helps with the production of both rod and cone cells, which help you see in low light conditions and to see colors. Beta-carotene also helps fend off disease-causing free radical damage. Eating high amounts may lower your risk for diseases like macular degeneration, cataracts and glaucoma. You can get beta-carotene from yellow, orange and red fruits and veggies like sweet potatoes and cantaloupes as well as dark leafy greens like kale and broccoli.